What's New from Nelson Rigg? Nelson Rigg spent a lot of time updating their line-up this year. Most of their popular luggage pieces have gotten a face lift and an extra few digits added to the naming scheme. You can view all of the New Nelson Rigg at RevZilla.com, but I'd like to focus in on some highlights for you here. Welcome to the land of High-Viz! 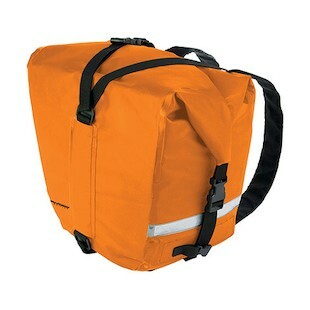 The Nelson Rigg SE-2060 Dry Saddlebags come in blazing orange or yellow. 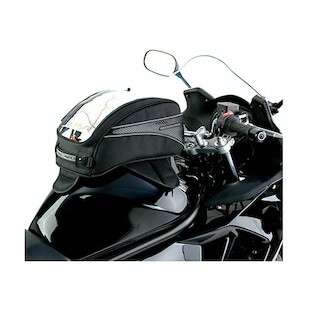 Designed to fit most factory saddlebag racks or passenger grab bars, the SE-2060 saddlebags are 100% waterproof. Using roll closures at the opening and tarapaulin PVC material throughout, these bags are ready for the worst that Mother Nature can throw at you. 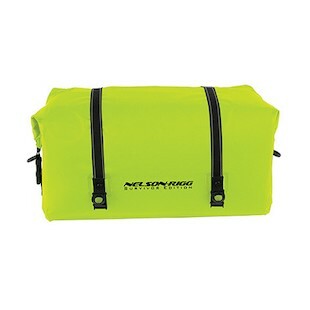 For a greater capacity, pair with the Nelson Rigg SE-2030 Adventure Dry Bag, also available in High-Vis colors. For the record, I would not recommend mixing Orange and Yellow on the same bike. Both of these bags use internal reinforcement to help keep their shape, while strong D-ring attachments allow for additional accessories to be mounted. Between two of these, you can pack a whopping 126 liters of storage. If the 'utility' look is not your style, we will also be seeing the Nelson Rigg CL-855 Touring Saddlebags available in early April. A more structured skeleton with styled details along the outside, the CL-855 can be made waterproof with the included rainstorm cover. 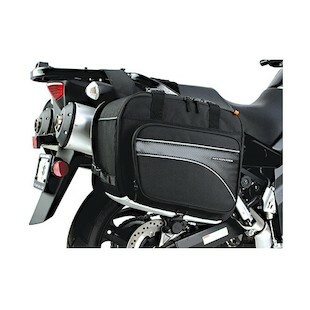 The last baggage to note, is the Nelson Rigg CL-1025 Sport Tank Bag. Sometimes, your storage needs require immediate access on the bike. While I hope this doesn't mean any of you will be fishing for your cell phone while on the road, there is a handy sleeve for storing a map or other materials that you need to see while riding. You have the option of purchasing this tank bag with strap mount or magnetic mount accessories, though the magnets are about $10 more. While these aren't the only newbies from Nelson Rigg, I think they are the most useful picks from the batch. We will soon find out which ones become the crowd favorite.